A short time ago, I read an article by someone who lives with chronic illness and disputes the concept of being a warrior. She says that a warrior fights. And since her autoimmune illness means that her body is attacking itself, then being a warrior would mean she is fighting her own body. I would agree that a warrior fights to win. But as a chronic illness warrior, we are not fighting our bodies or even our illnesses. We are fighting for a better life. A version of a life we love that can be created despite the struggles and limitations of our illness. First, let’s think about what it means to be a warrior. A warrior is a person who beyond all obstacles still manages to be successful. A warrior will often be troubled in life, but will persevere in the end. What is a Warrior Mindset? The definition of mindset is a mental attitude or inclination; a fixed state of mind. “The Warrior Mindset” is most commonly associated with the training completed by people of the military and police force. They learn to use this warrior mindset when they are engaged in a struggle or conflict. Their goal is to come to a point of peace and resolution. They are trained to use physical and mental strength to be aware of their circumstances at all times and to use creative problem solving,specifically thinking “outside the box.” They are taught to be adaptive, persistent, and disciplined when encountering a problem. You are thinking, what does this have to do with me, right? Adopting a warrior mindset means changing the way you think,i.e. “I am being acted upon (by my illness)” to “I am someone who acts to find ways to deal with the struggles of living with a chronic illness to a state of peace. This mindset takes you away from the rut of feeling like your illness is running your life and empowers you to take charge, find creative ways to manage your illness to lead a better life. You control your decisions and actions in life. You are the author of your life, not your illness. We each have unique needs because of our illness. It’s important to look at our struggles and limitations and brainstorm ideas or ways we can make accommodations so that we still can accomplish the everyday life tasks and responsibilities that we have. This is a good time to “think outside the box.” First, assess the things you need to get done. Prioritize and be strategic about where you spend your time and energy. Be creative about how you get things done, without comparing yourself to the other “average” person’s life. Our everyday lives will look different and let guilt get the best of you. Because of my illnesses, I have to take naps often. That may look like I am lazy to the rest of the world, but I have to be at peace with it because it is what my body needs. There are two ways you can internalize past experiences. You can focus on the trauma and negative aspects, or you can take a step back and see the correlations to the ways you have grown because you have had those experiences. And then realize how those experiences have equipped you with knowledge and empathy so that you can help others walk through similar situations. You can be proof that there is something good to look forward to on the other side of life’s challenges thrown your way. Living with a chronic or mental illness presents challenges you otherwise would not have known. Working through those challenges gives you experience and perspective. Perspective that will make it easier to see new opportunities. One of the most definite opportunities that come from the day to day living with a chronic illness is that of personal growth and increased fortitude and strength. Sometimes it may not be immediately obvious what those opportunities are. One example of this is when I knew it was time to bring extra income to our family. I knew I couldn’t work a traditional job so I had to think outside the box. 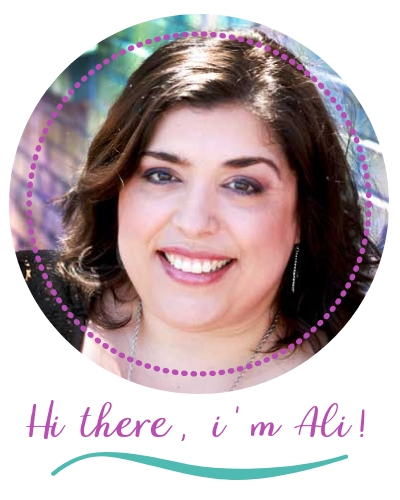 That lead me to starting a blog, which has enriched my life beyond measure. Blogging not only brings in an income, but I am able to help others as well as make treasured friendships with people I would have never otherwise met. Feeling like you are in a constant fight with your illness leads to debilitating stress, negativity, and hopelessness. 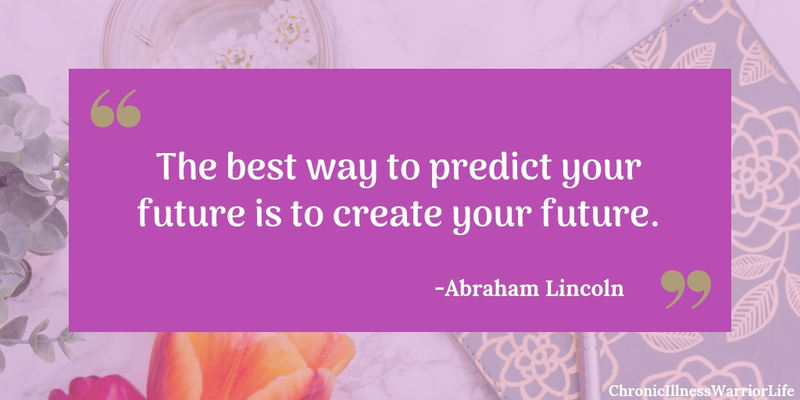 That’s why it is so important to work through your struggles and limitations to create a life you love and make the best of your circumstances. And not just peace because you have a plan of action to deal with your challenges. Peace and acceptance to love yourself despite the fact that most people in this world will never understand what you are going through. If you wait until something goes wrong and then try to fix, you won’t be as prepared or make the best choices to deal with the problem. And it may only be a quick fix that isn’t made for the long term. You will also feel like you are barely keeping your head above water. That is no way to live. That is just surviving. But being proactive is a solid path to learning to thrive. Taking the initiative to assess your struggles and come up with a plan of attack will set you up to be more successful. You will also create sustainable strategies on how you address the limitations you encounter. This one is probably the hardest to do. After you begin to consistently practice the 5things above, this will get easier. Finding peace with your situation first will make it easier to find the beauty in the dark. Beauty can be discovered in different ways. It could be finding a friendship that bring slight to your life-one that only came about because you have a chronic illness. It is so important to surround yourself with a community or tribe of people who share your experiences. Join the Chronic Illness Warrior Life Facebook Group! Because whether you realize it or not, you probably do several of the things mentioned above already. We don’t really have a choice but to wake up and face each day with our particular set of challenges. But, we are not perfect and not everything that we should do is always intuitive to us. That is why adopting “The Warrior Mindset” can be so life changing. To change your mindset takes perseverance and discipline. Focus on one area at a time and before you know it you will have developed the mindset that will enable you to create a better life. A life you love and wouldn’t trade for the world. P.S. 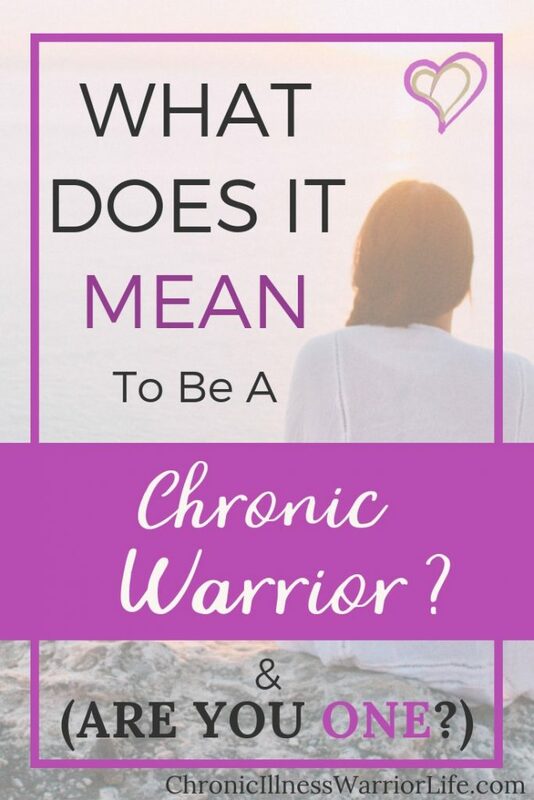 Would you do me a favor and pin What’s In A Chronic Warrior? I would really appreciate it!